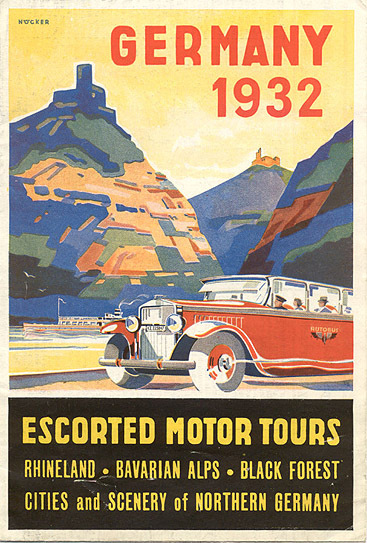 "Germany 1932 - Escorted Motor Tours"
Travel brochure "Germany 1932 - Escorted Motor Tours." Published by the Autobus Company Cologne. Signed Nöcker." Printed by Ziegler Beckmann - Cologne.